Officials from Health Canada, Indigenous and Northern Affairs and a group of engineers will be coming to Potlotek First Nation next Tuesday to address the domestic water crisis in that community, says Chief Wilbert Marshall. 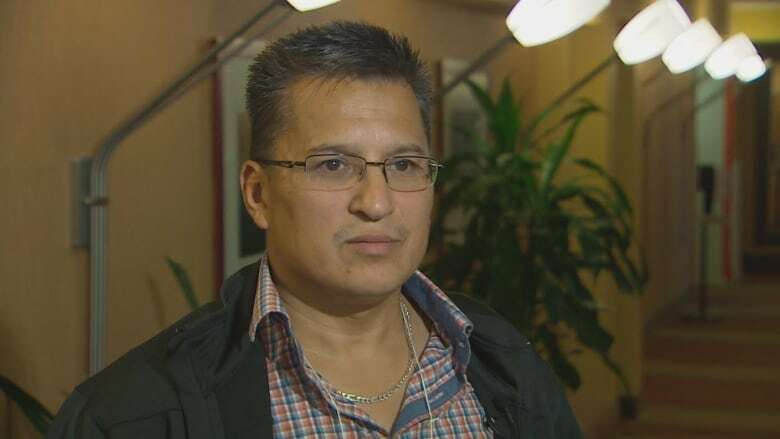 Officials from Health Canada, Indigenous and Northern Affairs and a group of engineers will go to Potlotek First Nation next month to address the domestic water crisis in that community, according to Chief Wilbert Marshall. "They're going to explain to our community members what's the next steps," he said, following a meeting Wednesday at the Health Canada office in Halifax. "We've got to get this settled. It is an emergency." He added that officials suggested it would take two years to solve the problem of dirty, undrinkable water in Potlotek. Community member Bernadette Marie Marshall told CBC News she's angry because she suspects the water is making people sick, and she wants the government to see that residents are tested in a lab "to see what kind of minerals are in our body." Patricia Paul said her household is at a standstill. "I can't do laundry, I can't clean my dishes, I can't give my kids a bath; I can't really cook unless I use the jugged water." Meanwhile, the member of Parliament for the area, Rodger Cuzner, said measures undertaken to fix the situation have been "Band-Aids" only. Cuzner, the MP for Cape Breton-Canso outlined how repairs to the water delivery system, commissioned by Indigenous Affairs, have fallen short. "They've invested about $400,000 in replacing membranes, but it just hasn't done the job," he said. "A major initiative has to be undertaken." Cuzner said the federal government is committed to working with the community to construct a new water treatment facility. He couldn't be specific on how long it would take or how much it would cost but suggested care has to be taken to make sure the job is done right. "We're going to do all we can to try to [expedite] that, but we have to make sure it's the right answer for Potlotek," Cuzner said.